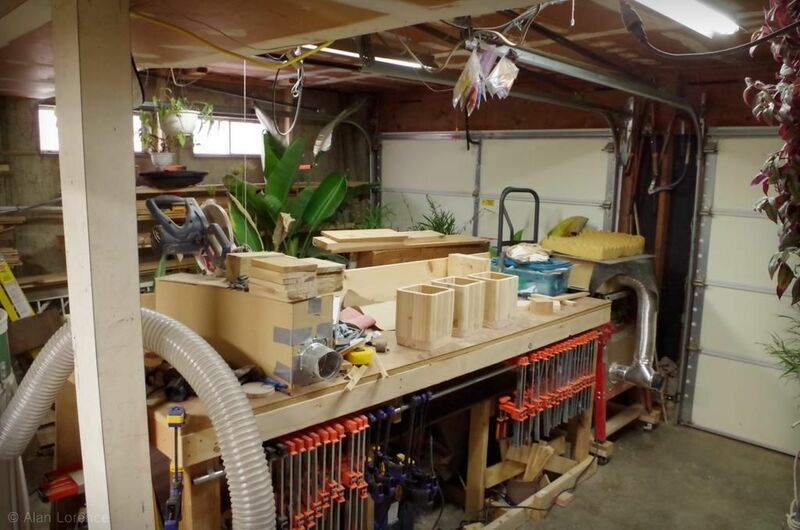 I've been spending a lot of time in the workshop lately, and it's the place where my new career and main passion (gardening) currently meet. 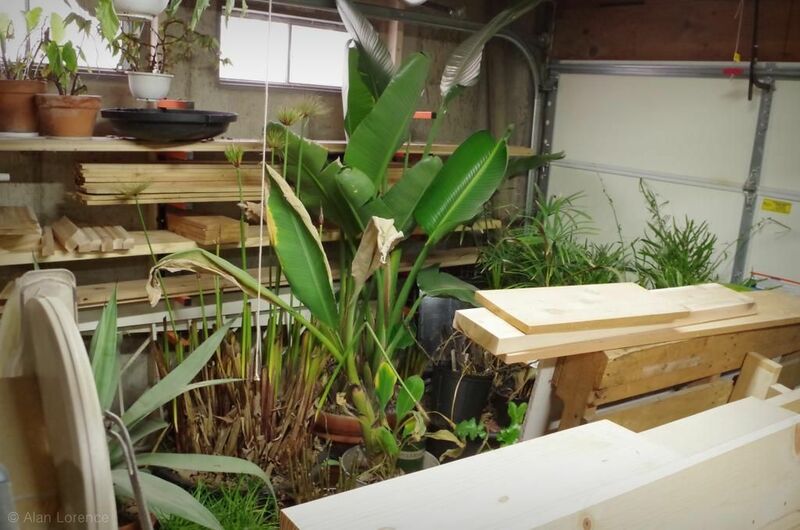 True, if I lived in a warmer climate I'd probably not have much in the way of plants that need to overwinter, or I'd find a better spot in which to place them for the colder months. ...while at the same time making the area more lively, exciting, and greener. How can you beat this combination? Thanks to Anna at Flutter and Hum for hosting Wednesday Vignette. Check over there for links to vignettes of all types! 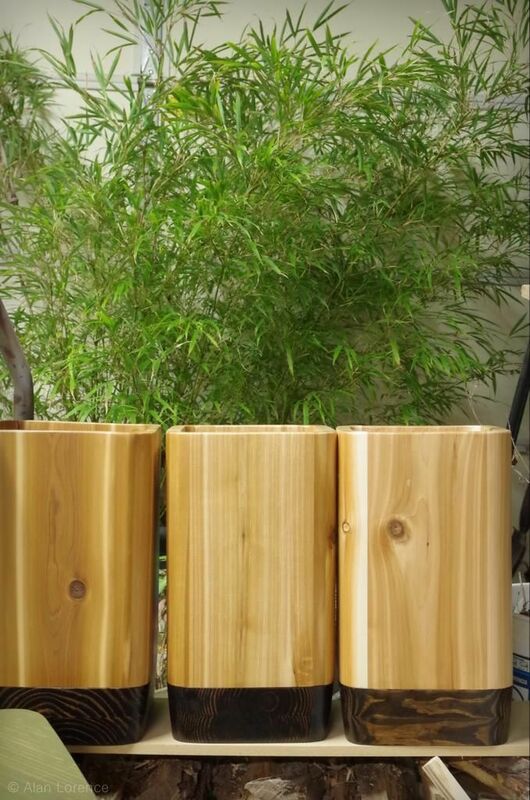 "Bamboo and Bayce planters"...what a lovely combination. 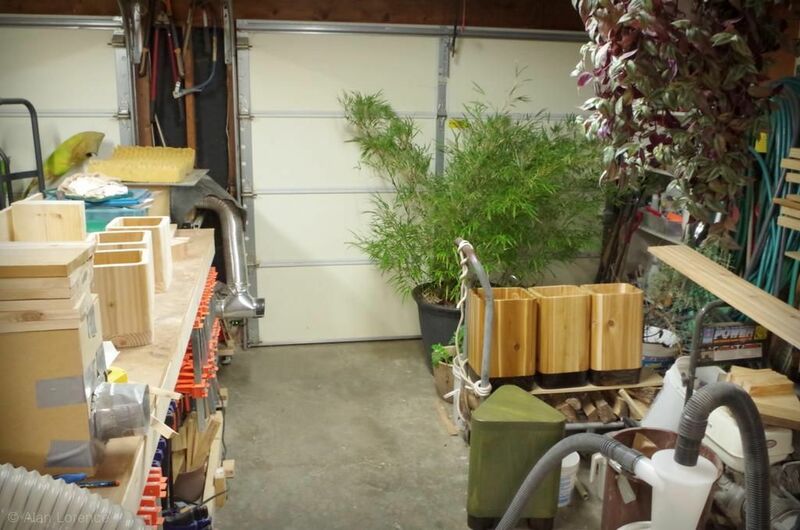 I was going to ask why we don't see any images of that combo on the Nimble Mill website but then it occurred to me that you were too practical to put bamboo in such a small planter. Not to mention that whole indoor/outdoor thing. Still, it's a beautiful image! wood and plants look so nice together! I hope you enjoy both in your shop! You definitely have the most unique shop around. Is your garage heated in the winter? Your plants sure look happy. Loree: I can surely pot up some bamboo for display in a Bayce in the spring, but I'd keep it on my porch. Good idea! Anna: Glad you like them! Gerhard: It's slightly heated just by being connected to the rest of the house. It doesn't get below 40F, but probably doesn't get above 55F either. On warm days opening the doors is a treat! That last picture is like free advertising for your business or someone selling bamboo... Both look great.